There’s more to this parable, but the opening three sentences are significant. Of course, He’s not talking about fig trees. He’s talking about people. It also gives the purpose for living – bearing fruit. And, finally, it gives the penalty for failure – death, or separation from God. Now, there are still unanswered questions in these three sentences – 1) what does He mean by ‘fruit’? 2) what does ‘cumber the ground’ mean? why three years? Let’s start with the last question. I’m not sure three years has any particular significance beyond the fact that God allots a set time for individuals to bear fruit. For some this allotment may be short, for others it may be longer. But, for all there is a specific limit on the time God will allow for bearing fruit. In the case of the fig tree, three seasons was sufficient to determine its worth. Working our way backwards we look at the second question, what does ‘cumber the ground’ mean? Any type of tree requires resources, water, soil, minerals, air, to name a few. It is clear these resources are given by God, and results are expected from the investment He makes. 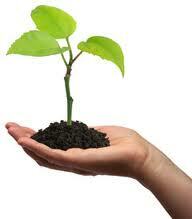 If the tree does not bear fruit then it will be cut down, and a new tree put in its place that will bear fruit. The scripture doesn’t specifically say a new tree will be planted, but it is a reasonable assumption. God gives people time – time to repent and turn, and time to bear fruit. But there is a limit. It is clear from the scripture that he came three separate seasons expecting to find fruit and found none. Finally, what is meant by ‘fruit’? We could put many meanings to this word, and they may all be right, but let’s see if we can agree on some common ground. ‘Fruit’ might not include just any good work. I think it is safe to say that ‘fruit’ would include works of righteousness done by the leading of the Spirit of God. In other words, doing God’s work. God has a plan for each individual. That plan includes all the things that would be beneficial to our success. The plan involves working and accomplishing the tasks God has set out for us. When we do this, fruit will be produced. When we fail to do this, fruit will not be produced. Let’s put some names to these individuals – the owner of the vineyard is God the Father, the dresser of the vineyard is Jesus. God the Father has looked at the tree and found it lacking. No fruit. The first inclination is to cut it down. But, Jesus intervenes and asks for three things: 1) leave it alone this year (in other words, don’t cut it down yet), 2) let me dig around it, 3) let me dung it (fertilize). Jesus makes an intervention and asks for more time to bring the tree to fruit. He also gets involved with the process and encourages the tree to bear fruit. Perhaps, the tree just needs someone to dig around it and break up the soil. Or, perhaps, a bit more fertilizer will do the trick. In any case, the original sentence is not permanently deferred. It is clear if the tree refuses to bear fruit after the remediation, then it will be cut down. It doesn’t take a rocket scientist to understand the importance of this parable, and its explanation. We need to be fruitful in our labor. And should the dresser need to dig around us, or apply more fertilizer we should understand these are only to enable us to bear more fruit. This entry was posted on October 31, 2011 at 12:35 am and is filed under Explorer's Group. You can follow any responses to this entry through the RSS 2.0 feed. You can leave a response, or trackback from your own site.